1 - The Ghost and Mr. Chicken (1966) Don Knotts stars in this funny, kid-friendly movie about a reporter who spends the night in a haunted house. Perfect G-rated ghost movie for Halloween. 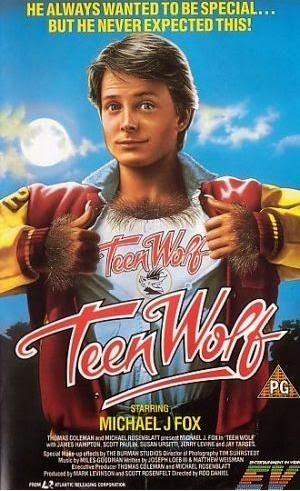 2 - Teen Wolf (1985) Michael J. Fox (this is not the new TV show) it's a movie about a basketball playing werewolf that's G-rated and fits right into your kids' Halloween movie night. 3 - The Little Vampire (2000) a kid becomes friends with a young vampire. Funny and fun. 4 - Cirque du Freak: The Vampire's Assistant (2009) It's a battle between good vampires and evil vampires, but it's kid-friendly and PG rated. 5 - Ghostbusters (1984) the timeless comedy starring Bill Murray, Harold Ramis and Dan Aykroyd. As long as your kids aren't marshmallow-phobic, they should enjoy this ghost movie without any nightmares. 6 - Monster Squad (1987) A group of kids take on the task of saving the world from Universal Monsters: Dracula, the Mummy, Wolfman, and more. A G-rated comedy horror movie for younger viewers. 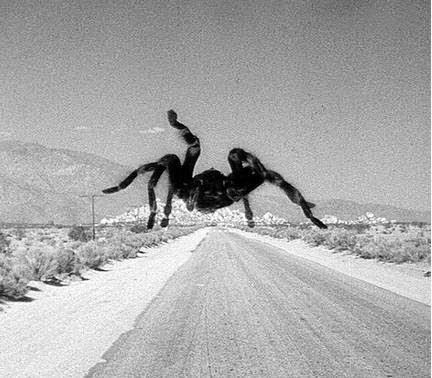 7 - Tarantula (1955) This classic might scare an arachnophic girl, but most boys will relish the big spider on screen. Tarantula is still a big hit with my nephews age 9 to 12. A tarantula grows to the size of a building, and terrorizes a small town. A scientist and a sheriff work together to get rid of it. 8 - Beetlejuice (1988) Quirkly and bizarre, this kid-friendly scary movie is good for the whole family. Beetlejuice is called upon to get rid of some ghosts still living in Winona Rider's new house. 9 - The Bride of Frankenstein (1935) If you can get your kids past the "black and white" of the movie (no there's nothing wrong with the TV), they will find this to be a scary classic, but still a G-rated horror movie for Halloween night. 10 - Monster House (2006) Animated movie about a haunted house across the street from 3 kids. 11 - The Frighteners (1996) Michael J. Fox works with a couple of ghost friends to scam homeowners into paying for a de-ghosting of their premesis. 12 - Dracula (1979) Frank Langella stars the remake of this classic tale, with no graphic scenes. 13 - Young Frankenstein (1974) Mel Brooks comedy just right for Halloween. 14 - The Willies (1990) Anthology of short scary tales. 15 - Little Shop of Horrors (1986) It's a musical about a man-eating plant, and it's fun for kids to watch along with their parents. Nothing scary, no nightmares, but it qualifies as a Halloween movie. 16 - Something Wicked this Way Comes (1983) Based on the Ray Bradbury story. 19 - Creature from the Black Lagoon (1954) A bit too scary for under 12, but good horror for teens. 20 - Halloween III: Season of the Witch (1982) This sequel doesn't follow the Michael Myers story, and is only scary enough for teens. A madman is trying to control the world using special Halloween masks. That's a good start for horror movie and Halloween movies your kids can watch, safe and kid-friendly. The G rating hasn't disappeared from our cinemas just yet.